By opening an Israeli embassy in its country, Armenia may domesticize Israel's experience in practically any area apart from repatriation, according to Yevgeny Satanovsky, the president of the Moscow-based Institute of Middle East. ''Armenia has its own experience in repatriation, so they do not need the Israeli model. When giving home to the Armenians from Syria, for instance, they did not need the experience of Israel. When the Armenian Soviet Socialist Republic came into being, a great number of Armenians - who had fled from Turkey during the years of the Genocide - returned to the fatherland. And many others were repatriated thanks to the fact that Armenia, after so many centennials, had finally re-established its statehood. There was no state of Israel on the map then; hence the practice of repatriation did not exist either,'' he said in an interview with RUSARMINFO. What can offer benefits to Armenia is the Israeli precedent of achieving the Holocaust recognition, especially in the United States, Satanovsky added. ''Israel pushed ahead with the recognition of the Jewish genocide. The Jews have really managed to achieve quite a lot in this respect, whereas the Armenians haven't. No wonder that the Holocaust recognition and commemoration has deeper traditions in the United States than that of the Armenian Genocide - which has been acknowledged by several  states. 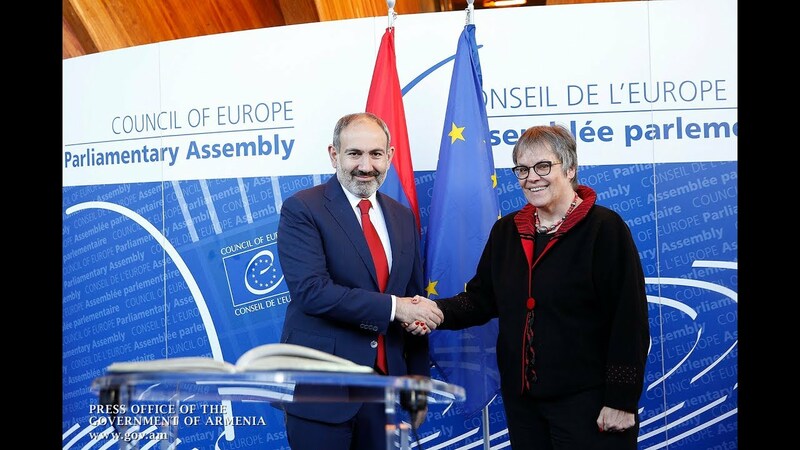 There are quite a lot of interesting topics in the Armenian-Jewish discourse in this connection,'' the Institute's director added. The plans for opening an Israeli Embassy in Yerevan were unveiled by Deputy Foreign Minister Grigor Hovhannisyan in a recent interview with The Jerusalem Post. In further comments on his statement, Avigdor Eskin, an Israeli political analyst and public figure, recommended domesticating the country's demographic experience as the best practice, noting that the Jewish population in Israel increased 11 times in the past 71 years as opposed to Armenia which saw its population split in half in 28 years.